We wish to thank all the participants for making the meeting so successful, and the speakers for their wonderful presentations. Some pictures from the three talks can be found here. Following last year’s success, we decided to continue with this one-day event, centered around three top-quality talks in probability and its interface with other active areas of current research activity. 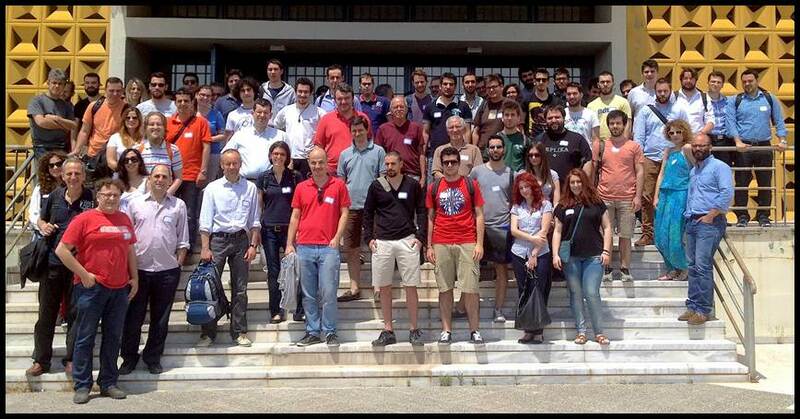 The main aim is to bring together all near-Athens-based researchers in probability and related areas of mathematics and applications. After the last talk, there will be another coffee break to wrap up, get yet another chance to chat and say goodbye. Timo Seppäläinen is a professor in the Department of Mathematics at the University of Wisconsin, Madison, and he is currently the editor of the Annals of Applied Probability. His research interests include interacting particle systems, large deviations, and random walks in random environments. Perla Sousi is a Junior Research Fellow at Emmanuel College, Cambridge University. Her research interests include random walks, Brownian motion, mixing times of Markov chains, Poisson Brownian motions, and rearrangement inequalities. Kostas Kardaras is a professor with the London School of Economics. His research interests focus on stochastic analysis and, in particular, its applications in Financial Mathematics.